They'll be available later this month. Sure, Samsung showed off its MicroLED wall and 8K consumer TV at CES this year, but what about TVs for the rest of us? Those details were scant in Las Vegas, but now the company is ready to talk about its QLED lineup. There are some similarities across the entire range, like Ambient Mode where the display will mimic the wall color or pattern behind it (like a chameleon) so the TV blends into your living room rather than looking like a black mirror when there's no programming running to it. There's also HDR10+ (with variants based on the model you're buying) and a smart TV platform powered by Samsung's Bixby digital assistant. While pricing and availability isn't known at the time, we can relay what sizes each model will be available in. The entry level Q6F comes in 49", 55", 65", 75" and 82" flavors, while the Q7F and Q8F are available in 55", 65" and 75" models. You'll be able to get the flagship Q9F with either a 65" or 75" display. The Q8F and Q9F models share what Samsung is calling a Direct Full Array backlight, which means you can expect better black levels. Oh, and each display is flat as a board. The 65-inch Q6F model will run you $2,200, while you'll have to shell out $3,800 for the comparable Q9F. 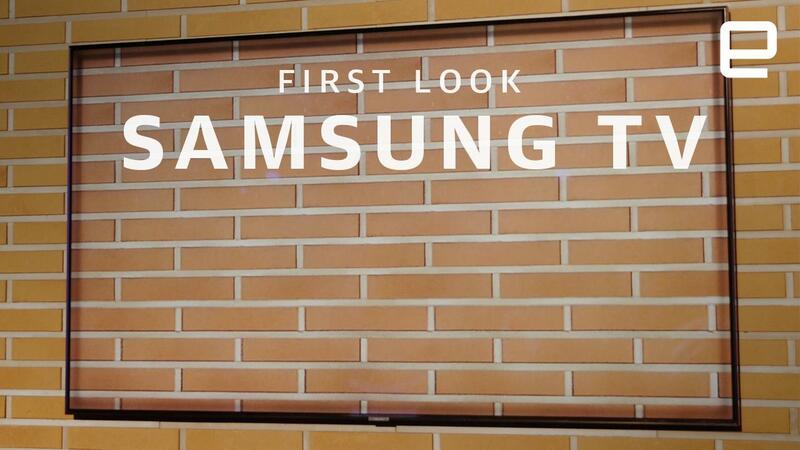 Samsung says these sets will be available in stores later this month. If you'd rather not wait, LG revealed cost and availability for its 2018 OLED lineup yesterday morning. Decisions, decisions.